Posted by Unknown at 9:01 p. m.
Posted by Unknown at 5:35 p. m.
Es un seminario intensivo, práctico e interactivo. Pueden asistir hasta 10 personas y tiene un costo de $11,500 dólares mas IVA. Para adquirir los elementos teórico-prácticos necesarios para manejar la imagen publica y lograr con esto el mejoramiento personal e institucional de los asistentes y de la organización. Este entrenamiento de medios de comunicación es especialmente necesario para gobiernos, partidos políticos y grandes empresasde producción, servicios, ciencia y tecnología. con un simulador de entrevista duras con periodistas y analistas expertos. Sistema para desarrollar un enfoque integral del manejo de las comunicaciones y medios en tu empresa, descubrirás como lograr la sinergia en la comunicación. En este taller se identifica con detalle el uso apropiado de los diferentes medios de comunicación, como televisión, radio, Internet, Web 2.0, prensa escrita, revistas, espectaculares, medios impresos y relaciones internas y públicas que las empresas deben de considerar en sus comunicaciones integradas, se presenta un caso practico en DVD interactivo y se tiene una sesión de preguntas y respuestas. El taller incluye herramientas de diagnóstico, presentación y dinámica interactiva con los participantes para afinar sus herramientas analíticas y sintéticas de comunicación en los medios masivos y directos. 1.2.2 Diseño de imagen institucional. 1.2.4 Promoción y difusión institucional. 1.3 Taller ¿Cómo presentar el proyecto? 1.3.1 ¿Qué voy a hacer? Definición de metas y objetivos. 1.3.2 ¿Cómo lo voy a hacer? Medios y estrategias. 1.3.3 ¿Hacia quiénes está destinado? Destinatarios. 1.3.4 ¿A quién presentarlo? Instituciones financiadoras. 1.3.5 ¿Qué espero obtener? Impacto social. Posted by Unknown at 12:06 a. m.
La nueva cámara EOS 60D, ha sido diseñada pensando en aquellos fotógrafos que quieran a subir a un nuevo nivel de conocimientos fotográficos, con un sensor APS-C de 18 Megapíxeles, la EOS 60D ofrece altos niveles de detalle y un factor de aumento focal de 1,6x. Posted by Unknown at 3:26 p. m.
Posted by Unknown at 9:15 p. m.
The Canon EOS 60D represents the middle of Canon’s SLR lineup, but it is a top-notch camera in terms of performance, handling and flexibility. We found that it had excellent color accuracy and took sharp images, although the 18-135mm kit lens that Canon sells with it has some issues. Posted by Unknown at 7:56 p. m.
Posted by Unknown at 6:30 p. m.
As you give thanks, be mindful that you are practicing contentment, which in turn is the means to natural wealth. Also, do your best to be thankful every day, not just one day per year. Be thankful. Be content. Be rich. (Why You Need to) Get 'Rich' Quickly! Posted by Unknown at 10:03 a. m.
With all the buzz about Twitter being the latest source for breaking news, it may be easy to overlook the fact that Twitter is also a good place to look for information about the past. Whether you are studying history and want a little additional knowledge to support what you are learning in class or are just a history buff, then you will want to check out these Twitter feeds that offer all sorts of historical facts ranging from American history to European history to history of specific places or building to history of families to history in the making. These feeds offer a bit of history from several different eras and regions. @historytweeter. From the Stone Age to Dickens, get interesting history tidbits here. @Historyday. Learn what happened on this day in history (sometimes as recent as last year). @WWHistory. Get "today in history" updates on this feed. @worldhistory. This feed provides lots of historical facts from history around the world. @history_is_cool. This literary publicist shares great history books alongside historical facts. @history_geek. The feed from this history professor includes talk of academia as well as fun historical facts such as what Romans used for toilet paper. @AnswersDotCom. Get birthday and death day anniversaries along with other interesting facts. @HistoryTweet. From the anniversary of the first signal light to Nixon’s resignation, this feed offers lots of fun historical facts. @Discovery_News. Among the science news updates here you will also find lots of science history facts. These Twitter feeds focus mainly on American history. @kevindmccann. History of Tennessee, baseball, and the Civil War may all show up on this feed. @HISTORY_Daily. The History Channel tweets about events in history as well as information about their TV station. @JQAdams_MHS. The Massachusetts Historical Society is tweeting a line a day from John Quincy Adam’s private journal. @dancohen. Find lots of links to digital archives documenting history on this feed. @wceberly. Keep up with what happened today in American history with this feed. @PineyCreekBytes. A chapter of the Daughters of the American Revolution, this Colorado group updates with historical facts from the American Revolutionary War. @VHStudio. Get photos and art depicting important moments in American history. @CAFMuseum. Find important dates in American history, especially as it pertains to air power. @Presidentfacts. Learn unusual and interesting facts about the American presidents here. Don’t forget about the rich history of Europe–these Twitter feeds haven’t. @HistoryTODAY. Get your European history with this feed from the editor of History Today magazine. @TheHistoryWoman. This journalist’s feed focuses mostly on Germany and the UK, but includes facts from around the world. @HistoryTimes. With a nice blend of history and its impact on today, this feed offers interesting information with a British accent. @BBCHistoryMag. Find plenty of fascinating history facts here. These feeds look at the history of a specific geographic region. @TampaBayHistory. Get a daily dose of Tampa Bay history from this feed. @LucyDJones. Find interesting facts about Florida history here. @AASLH. This organization interprets and records American state and local history. @brooklynhistory. The Brooklyn Historical Society writes this feed all about Brooklyn. @mightyby. This feed features Alabama history as well as aviation history. @NZHistorydotnet. Learn about the history of New Zealand here. @GreenerParks. The San Bernardino County Regional Parks not only give up-to-date information about the parks, but lots of history too. @mnhs. Find photos and historical facts about Minnesota on this feed from the Minnesota Historical Society. Museums and libraries have plenty to offer when it comes to history, and their Twitter feeds provide a sampling. @smithsonian. Keep up with the fun historical facts that this famous museum has to offer on their feed. @airandspace. This branch of the Smithsonian shares history important to air and space. @HMSF. The Historical Museum of Southern Florida posts about events at the museum as well as historical facts related to the area. @TheWomensMuseum. This museum highlights women in history from 1500 to present day. @amhistorymuseum. From light bulbs made out if Legos and Julia Child, follow this feed for American cultural history. @GettyMuseum. Art history and other interesting facts are found in this feed. @librarycongress. Take a peek at some of the collections available at the Library of Congress. @fordstheatre. Find out what is happening at this historic theater with their feed. @portableant. From the British Museum Portable Antiquities ICT advisor, this feed offers tons of links to photos and information. @logcabinvillage. This log cabin village in Fort Worth, TX provides information about log cabins and life from that era. @NYHistory. Learn about memoirs, exhibits, and more from this museum that features New York history. Old structures hold much history in them. These feeds share the history of buildings and other structures across the US. @handsonhistory. This organization preserves historical buildings and shares their work on this feed. @Historianizer. This feed features information about historical buildings and structures around the US. @HistoricShed. This company offers advice and products to help preserve historic homes. @OldHouseWeb. People who love old houses will find lots of fun facts here. @ForgottenChi. Find links highlighting forgotten architect and structures around Chicago in this feed. @tenementmuseum. Written from the perspective of this 5-story tenement built in 1863, this feed features historical facts relevant to the structure as well as current events happening there. History doesn’t have to be only about battles and politics, as these feeds attest, but can also provide insight to popular trends and fun facts. @HistoryOfAll. Find lots of entertaining historical tidbits such as when women started shaving under their arms and when stainless steel was invented. @LemelsonCenter. Invention and innovation are the subjects mentioned here and frequently feature fun moments in the history of innovation. @emailfwds. This feed provides lots of random information, much of it historical in nature, such as the fashion of drinking chocolate with your alcohol in the 17th century. @trainstoday. This train-loving Twitter feed often features photos and other historical facts about trains, railroads, and bridges. @auldmags. Famous quotes, sports history, and more will show up in this feed. @dayinhistory. From the publication of Alice’s Adventures in Wonderland to the death of Anton Chekhov, this feed provides lots of cultural history. @johnabartram. This archeologist shares ancient history and archeology’s impact on today. @historicaltweet. If famous historical figures could use Twitter, here is what they would be saying in 140 characters or less. @nbclearn. This educational arm of NBC tweets fun historical facts here. @history_book. Get information about history books on the day they are published with this feed. @trexblog. Learn what this T-Rex has to share about popular history when you follow this fun feed. @whatexactly. This feed provides interesting and odd facts, some historical and some not. @oldnews. This feed relates old news stories from the 20th century. What better place to learn about history than from those teaching it to youth in schools. Here is a sampling of their Twitter feeds. @russeltarr. This history teacher posts historical facts along with teaching resources. @ushistorysite. Both history facts and resources for history teachers are on this feed. @ernieeaster. Find links to resources such as cartography maps and more. @robcrawley. Get fun days in history facts with this American history teacher. @activehistory. Find history facts and worksheets for history teachers. @IanS1974. This British teacher shares lots of ideas when school is in session. @bcondesso. History resources and current education policy both feature here. @woodenmask. Teaching, parenting, and history are the subjects of this Twitter feed. @a_armstrong. Find lots of resources for history teachers and learners here. @Oralhistorybuff. History sites, social studies pages, and other helpful resources are posted on this teacher’s feed. @AmerHistTeach. This teacher shares links to history resources, technology for the classroom, and much more. Learn about the rich history hidden among each family’s ancestors with these feeds that provide resources and history for those interested in genealogy. @FamilyStories. Genealogy and history get equal billing on this feed. @benotforgot. Get genealogy resources as well as historical information here. @rootstelevision. This feed is from RootsTelevision.com and offers great family history information. @michaelhait. A professional genealogist, Michael Hait shares tips and resources for finding your family history. @geneabloggers. This feed features information and stories about family history. @genealogynews. Find genealogy resources as well as actual famous family trees here. @genseek. Get tons of resources and news about genealogy with this feed. @MyHeritage. This international company shares resources and more to help you find your family. @lagenealogy. If you had or have family in Louisiana, then you will want to check out this genealogy feed. @dickeastman. Updates from Eastman’s Online Genealogy Newsletter are features here. Politics is an important part of history. Take a look at these feeds that touch on politics of the past as well as today. @Micah24601. This political science student offers frequent historical facts, usually politically oriented. @sklopfer. Civil rights and cold cases are the specialty here with some real-time politics mixed in too. @executedtoday. This feed highlights famous executions throughout history along with current death penalty news. @whitehouse. Follow this official Twitter feed from the White House to see what is happening in American politics. @FreedomMuseum. Freedom and first amendment rights are the topics here with a few pieces of historical information thrown in as well. @DrSeanForeman. This political science professor comments on politics with an aim to speak on Republican, Democrat, and Independent stances. @prof_gabriele. This professor of medieval studies tweets about current politics. @Klmarcus. Kenneth L. Marcus is a public affairs professor, constitutional lawyer, and anti-Semitism expert whose feed will keep you current with what is happening in the world of politics. @SenJohnMcCain. Find out what the Republican senator and former presidential candidate has to say here. @TheElders. This group of international leaders is headed by Nelson Mandela and posts about important global news and events. @algore. Politics and climate change are the focus of Al Gore’s Twitter feed. @ClintonNews. This unofficial feed provides news about the work being done by Secretary of State Hillary Clinton. History is always in the making. Take advantage of the opportunity to hear from these famous people while they are alive and creating history. @therealBuzz. Astronaut Buzz Aldrin tweets about space and what he is doing now on this feed. @lancearmstrong. Follow this world-class athlete and cancer survivor as he makes history. @StephenHawking. This feed posts quotes from Stephen Hawking, the famous physicist and mathematician. @JohnCleese. The legendary British actor and comedian tweets with his trademark humor here. @yokoono. Famous artist and wife of John Lennon, Yoko Ono tweets in this feed. @zappos. Tony Hsieh, the CEO of Zappos, has become wildly famous for both his smart business practices as well as his customer relations and social media participation. @drewbrees. This football quarterback is not only known for his amazing skill on the field, but also for the charitable activities he and his wife have supported. Posted by Unknown at 5:26 p. m.
Posted by Unknown at 4:18 p. m.
Posted by Unknown at 11:18 a. m.
Larry's Monthly Final Cut Studio Newsletter. Click here to subscribe. So, that begs the question: which version should you use for your project. Intra-frame encoding, meaning each frame is individually compressed as a stand-alone picture, unlike GOP-based encoding like XDCAM EX or HDV. Variable bit-rate data encoding, creating smaller files than constant bit rate encoding. Unlike H.264, ProRes encoding and decoding are optimized for multiple processors. If you need a clip to retain transparency information, which is called the "Alpha channel," you only have one choice: ProRes 4444. None of the other ProRes versions support clip transparency. Well, since it's clear that ProRes 4444 is the absolute "best" in terms of quality, it seems like we should all just select ProRes 4444 and be done with it. The problem with this approach is that your file sizes can be quite large, not as large as fully uncompressed HD, but still pretty darn big. And, unless you have a specific need for this format, you probably won't be able to see the difference between ProRes 4444 and other ProRes versions. Also, using ProRes 4444 in your project probably means you'd need to render every shot. Think of ProRes 4444 as the replacement for the Animation codec. We use the Animation codec when we want to move files between one application and another; for example, between After Effects and Final Cut. Then, once it's in Final Cut, you render it into the final version you need for your project. As a transfer format, ProRes 4444 is great. As a video editing format, it's way past overkill. Most of the time, you will be fully happy with one of the four other versions. And your file sizes will be much smaller. The four other versions of ProRes differ in only one area: data rate. Changing the data rate directly affects file size and image quality. The slower the data rate, the smaller the resulting file and, potentially, the lower the image quality. For example, here's a table that showcases the difference. This is just a guide, different formats create different file sizes, but the general proportions will be the same. * Source: Apple Inc. ProRes White Paper, June, 2009. However, the situation isn't as grim as you might think. Here are some suggestions you can reflect on as you are trying to decide what codec to use. If you are shooting GOP-compressed media - HDV, XDCAM HD, XDCAM EX, AVCHD, AVCCAM - your editing and render times will greatly benefit from converting your footage from the source format into some version of ProRes. At a minimum, when editing one of these formats, select the Timeline and go to Sequence > Settings > Render Control and change the codec from Same as Source to Apple ProRes 422. My tests have shown that there is about a 40% speed improvement in rendering when you switch to ProRes. ProRes 422 HQ: This is the highest-quality video format, but unless you are shooting very carefully-lit, high-end video, such as RED, HDCAM, or HDCAM SR, the quality of your source image doesn't equal the format. Use this version only for high-end work. 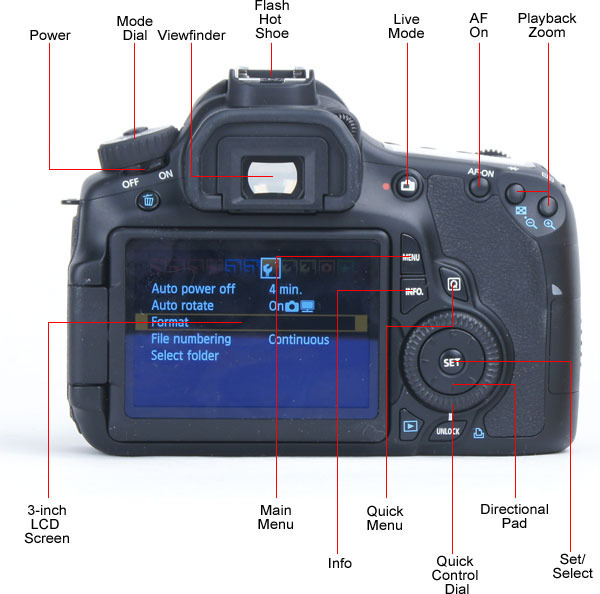 ProRes 422: This is the format I recommend for anyone shooting DSLR, HDV, AVCHD, XDCAM EX, XDCAM HD, AVCAM, or P2. Great image quality, with file sizes 30-35% smaller than ProRes 422 HQ. Since the DSLR images start as H.264, which is already quite compressed, ProRes 422 most closely matches the original image quality. NOTE: If you are on an older, non-Intel system, ProRes may not be a good choice for you. The math involved is very CPU-intensive and older systems may not be able to encode or play it fast enough. ProRes is an excellent video codec and one that has achieved great popularity in the industry. However, that doesn't mean you always need to select the absolute highest quality -- many times our images weren't that good to start with. By spending a few seconds thinking about which ProRes version best matches our video format, we can save a ton of time and storage space down the road. Larry Jordan is a post-production consultant and an Apple-Certified Trainer in Digital Media with over 25 years experience as producer, director and editor with network, local and corporate credits. Based in Los Angeles, he's a member of both the Directors Guild of America and the Producers Guild of America. The information in this article is believed to be accurate at the time of publication. However, the author assumes no liability in case things go wrong. Please use your best judgment in applying these suggestions. The opinions expressed in this article are solely those of the author. This newsletter has not been reviewed or sanctioned by Apple or any other third party. All trademarks are the property of their respective owners and are mentioned here for editorial purposes only. Links to my website home page or this article are welcome and don't require prior permission. Posted by Unknown at 10:44 a. m.
Posted by Unknown at 9:46 p. m.
Posted by Unknown at 3:56 p. m.
El Monstruo de la Mercadotecnia afirma que estos medios permiten a las marcas conocer más sobre los puntos de vista de sus consumidores. ... es que la idea de tu producto esté bien sustentada y eso se refleje en la campaña", considera el Monstruo de la Mercadotecnia de la revista Expansión. ... de tener clientes más activos que digan lo que les gusta y lo que no", afirma la Monstruo de la Mercadotecnia por parte de la revista Expansión. Posted by Unknown at 4:36 p. m.
"Recetas para crecer en tiempos de crisis"
"Vendiendo lo invisible: cuatro herramientas para vender servicios"
"Once claves de Marketing para seducir a nuevos clientes"
"Calidad y productividad al estilo japonés en la Pyme mexicana"
"El dado de siete caras: Estrategias innovadoras para tu empresa"
"Educación financiera para tu negocio"
"Nueve lecciones de liderazgo y motivación"
Posted by Unknown at 7:22 p. m.